Duarte Pedreira is an experienced financier, who has worked in senior trade finance roles in London, Johannesburg and Luanda. Having been exposed to most areas of trade finance, including operations, origination, structuring, syndications, distribution, advisory and insurance underwriting, Duarte has developed strong relations with a multitude of clients (corporates and financial institutions) with a focus in emerging markets (particularly frontier markets in Africa and the CIS). Over the years he built a track record in managing successful teams, originating new business opportunities and generating attractive revenue streams, becoming a recognised specialist in trade finance. 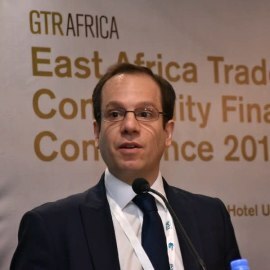 Duarte is currently the Head of Trade Finance for Crown Agents Bank and a Board Member for the International Trade and Forfaiting Association, the Global Trade Finance Industry Association. He is also the Chairman of the ITFA Africa Regional Committee.